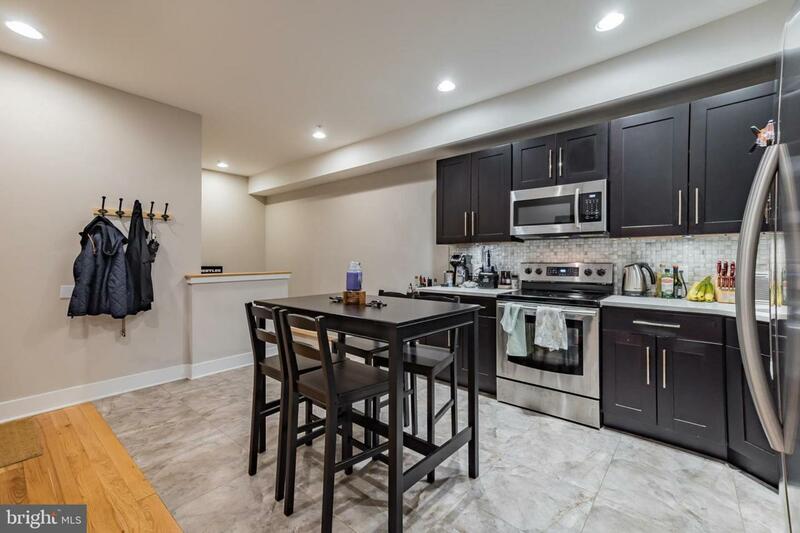 This 1,200+ square foot bi-level 2-bed, 2-bath condo is located in one of Philadelphia's resurgent neighborhoods, Francisville bordering Fairmount. It's steps from Philly's hottest new entertainment venue, the Metropolitan Opera House. The building was just recently completed in 2016. Tax abatement in place through March 2026! Bedrooms and full bathrooms are located on separate floors for added privacy. Modern kitchen and bathroom appliances. Central AC/Heating. Private washer/dryer included in the unit. Access to a shared roofdeck and rear yard patio. This location is a prime hub for public transportation: Orange Line subway stop one block away (Girard and Broad) for quick access into Center City/Market Frankford Line/Regional Rail to suburbs. The express subway gets to City Hall in about 5 minutes, or walking to Center City takes about 25 minutes (walkscore of 91). Girard trolley stop one block away (16th and Girard), which runs West to Fairmount Park/Schuylkill River and East to Fishtown/Northern Liberties. Abundant street parking is available. The immediate area also boasts some of Philly's top restaurants: Osteria, South Kitchen and Jazz Bar, and Bar Hygge are a three block walk down Broad. La Colombe coffee is served at nearby Vineyards Cafe. A few blocks west offers Fairmount's trendy restaurant and bar scene and shopping options such as Whole Foods. Steps from this apartment, The Metropolitan Opera House at Broad and Poplar touts LiveNation as an entertainment promoter. This neighborhood is on the fast track to becoming Philadelphia's next great revival story, and it has all of the infrastructure, public transportation, and big name developments to keep up the pace of growth. Owner is a licensed Pennsylvania real estate agent.